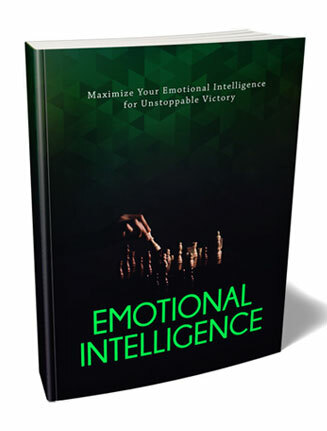 Emotional Intelligence Ebook and Videos MRR includes profits centers to earn for you with video upsell lead generation and unrestricted master resale rights. Extras: Upgrade package with video’s, audio, upsell sales page and more. The phrase “emotional intelligence” can actually be traced back to a paper published by Michael Beldoch in 1964. However, it became very popular in the United States and elsewhere, especially among management circles, in 1995. In that year, the journalist Daniel Goleman published a book of the same name. The initial public perception of the concept of emotional intelligence is that it is a mix of Trait and Ability impacting social leadership or interpersonal relationships. More specifically, it can be broken down into four key parts: perceiving emotions, using emotions to our benefit, understanding other people’s emotions, and managing our own. Put in these terms, emotional intelligence seems pretty straightforward. However, it has very important components that we need to seriously examine instead of just automatically assume. This is the big danger of emotional intelligence. Since we get along with other people and have some level of experience as far as social interactions are concerned, it’s too easy to gloss over the intricacies and fine details of this skill. That’s precisely what emotional intelligence is. It is a skill. Some people have higher levels of natural emotional intelligence, especially empathy, but it is still a skill. You need to fine tune it and polish it for your initial level of emotional intelligence to help you live up to your fullest potential. The key components I mentioned above can be actually be broken down into four key areas: awareness, understanding, control and empathy. 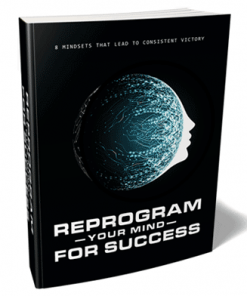 Ebook – A Quality 31 page PDF that tells how to maximize your emotional intelligence for unstoppable victory. 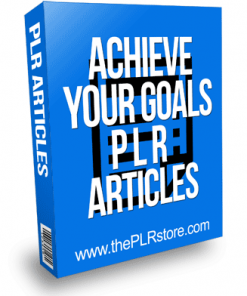 Since it comes in PDF format, you’ll know your buyers won’t have any problems learning and growing from the material. Book has a professional layout with quality graphics. Sure to help you be seen as the expert and authority. 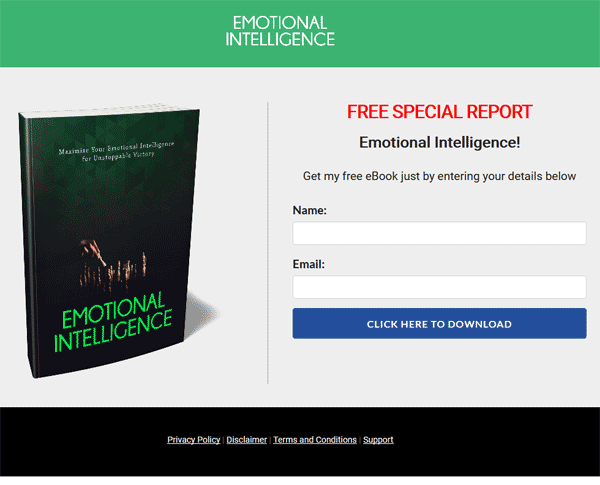 Reseller Kit – This module includes all you need to sell the Emotional Intelligence Ebook and Videos MRR book with a professional sales page and a download page. Just add your payment link, your download link and it’s ready to put cash in your pocket on automatic, even while you are sleeping. Plus they are standard HMTL web pages so they are easy to edit. Cheat Sheet – 7 page PDF that breaks down the content and the material to make it even easier for your customers to understand and gain from the material. 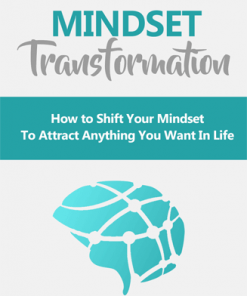 Mind Map – A 7 page PDF that highlights the main points from the Emotional Intelligence Ebook and Videos MRR book so your buyers can better digest the learn from the content. Resource Report – 6 page PDF that is a great break down of the key points to the material and help them get a better grasp of the content. 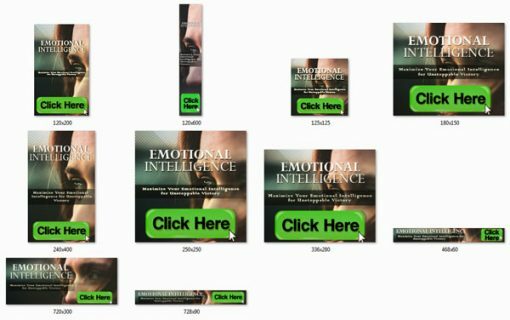 Articles – 10 tightly related Emotional Intelligence Ebook and Videos MRR articles you can use on your blog or your website to drive even more buying customers to your new sales page. Comes in one easy to use Word DOC, so they are easy to edit as you wish. Banners – 10 professional and quality Emotional Intelligence Ebook and Videos MRR promotional images that come in all the popular sizes of, 120×200, 120×600, 125×125, 180×150, 240×400, 250×250, 336×280, 468×60, 720×300 and 728×90. All in PNG image format. Email Swipes – 5 pre written email marketing messages crafted to help you sell your new book. No struggling to write your emails, we’ve done it all for you. Simply copy and paste them into your autoresponder service and done. In both Word DOC and plain text formats so you can easily edit or customize them as you wish. Graphics – Extra images including bundle, cheat sheet, ebook, Emotional Intelligence Ebook and Videos MRR mind map and resources. High Quality Covers – 10 high quality cover images you can use to stand out and be different from the competition. They come in the ever popular JPG format and size of 2550×3300 so they are big enough to resize as needed. Social Media images – 20 quality images you can post on your social profiles to drive even more traffic to your sales page. They have an image background with text quote overlay. Plus you get the blank image versions with no text so you can make your own. In JPG format. You also get the font used on the ready to use images. Sales Video – As we all know, sales video has shown to increase sales conversion and we’ve included one with this package. It’s even embedded in the sales page for you. How much importance should you place on others’ reading of your emotions? Are your emotional coping skills preventing you from being a happy person? How important is honestly in dealing with you emotions? Is empathy over blown and exaggerated? Of course not, you should know me by now. You’ll also be getting a huge upsell package that was crafted to help you make even more from your buyers. It’s a built in sales funnel that is easy to put in place. Better yet, the upsell content comes in even more popular formats including video and audio. Do I really have to tel you how hot video is for a learning format? TI’s sure to help you get more of those upsell sales and put more cash in your pocket. Videos – 10 quality video’s that cover the material in a visual format and the preferred learning format for many people. You know how popular video is these days so you know it’s sure to help you get more of those upsell sales. Being MP4 format you’ll know they are simple to use. 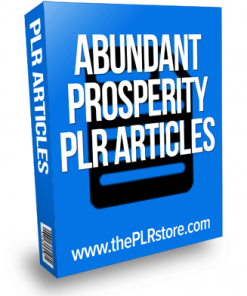 Audios – 10 professional MP3 audios for your buyers who like to learn on the go and there are plenty of them. And who can’t play MP3’s these days? Plus it’s yet another feature to improve your upsell sales conversions. Upsell Sales Kit – You’ll be getting all you need to sell the Emotional Intelligence Ebook and Videos MRR upsell with a quality salespage and a matching upsell download page. Just insert your payment link or button, and the download link, upload the two pages and it’s ready to put more money in your pocket. They trusted you enough to buy the main ebook, so they are more likely to pick up the upsell as well. Since the package comes with master resale rights, you get to keep 100% of the profits. Affiliate Page – Here is another way you can earn from this package by using this page to recruit affiliates to sell your product for you. Best yet, you only pay them when they make a sale. Comes with all the promo content they need to promote your product. 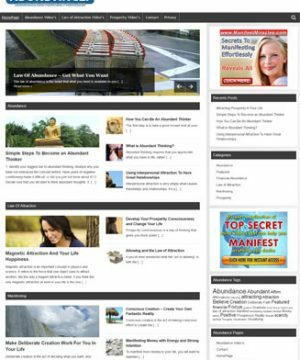 Email Swipes – 5 pre written email messages designed to help you sell more Art of Meditation Ebook and Videos upsells. You don’t need to write emails, we already did it for you. Just copy and paste them into your autoresponder service and you have another automated money machine. Emails come in both Word DOC format so you can edit or customize them as you need. Squeeze Page – Modern squeeze page you can use to build yourself a email list today and build an asset that you could profit from far into the future. Copy and paste your optin code into the squeeze page, upload the page and it’s ready to build you a list on automatic. Give Away Report – 10 page PDF entitled, “8 Ways Your Lack Of Emotional Intelligence Is Holding You Back!”. It’s a perfect give away report because it gives them a taste of your material, but not to much so it leaves them wanting more and that could be your upsell package. Sales Video – As we’ve discussed, video has shown to increase sales conversions and we’ve added one just for the upsell for you. Plus it’s already set in to the sales page. Graphics – Even more product images including, bundle, CD, deluxe package, infographic, PPT, video and voice over. Are you ready to Experience Unstoppable Victory? It’s About Time For You To Learn EMOTIONAL INTELLIGENCE! Emotional intelligence, at the very least, enables you to be aware of other people’s emotions. Correct emotional identification often boils down to getting a clear understanding of the mix of emotions somebody is feeling. Increased emotional awareness leads to the ability to function without emotional denial. The initial public perception of the concept of emotional intelligence is that it is a mix of Trait and Ability impacting social leadership or interpersonal relationships. More specifically, it can be broken down into four key parts: perceiving emotions, using emotions to our benefit, understanding other people’s emotions, and managing our own. Put in these terms, emotional intelligence seems pretty straightforward. This is the big danger of emotional intelligence. It’s too easy to gloss over the intricacies and fine details of this skill. That’s precisely what emotional intelligence is. You are going to understand the importance of emotional awareness. You will learn to identify other people’s emotions. You will understand your own ability to be emotionally honest with yourself. You can begin to communicate empathy in a clear and effective way. You are going to learn exactly how to fine tune it and polish it for your initial level of emotional intelligence to help you live up to your fullest potential. 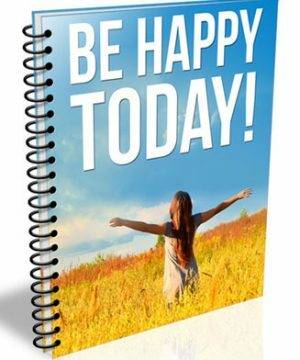 This is the easiest way to actually start using emotions to your advantage! You want to be aware of other people’s emotions. You want to know yourself enough to clearly label what you’re feeling at any given time. You know that if you are able to control your emotions, you are able to ultimately control your destiny. You want to have a clear understanding of what you’re thinking or what you’re perceiving and how you respond. You want to learn how to manage your emotions better so you would be able to make higher quality decisions. Fast Action Bonus #1 – Emotional Intelligence – Cheat Sheet – This cheat sheet is a handy checklist that makes it easy to get started. It breaks up the entire guide into easy-to-follow steps so that you can make sure you have all the highlights of everything covered inside right at your fingertips. Fast Action Bonus #2 – Emotional Intelligence – Mind Map – Some people learn better by looking at a mind map. The mind map gives you an overview of everything covered inside the guide. You can also print it out for quick reference anytime you need it! 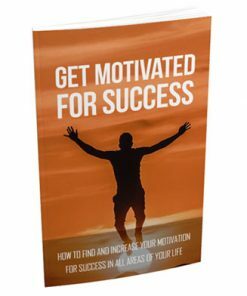 Fast Action Bonus #3 – Emotional Intelligence – Resource Guide – The Resource Guide gives you a quick point of reference to all of the resources mentioned throughout the guide. This makes it easy to plug-in and stick with what you’re looking for. Although the guide you just purchased gives you a step-by-step approach to emotional intelligence, experience tells us that it requires learners to pay very close attention to the details to get the best results possible. 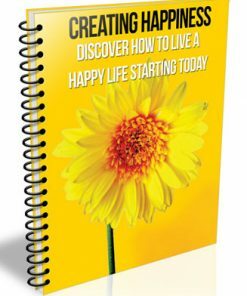 Are you ready to Learn all the skills you need to start living in the moment, a lot faster? Fast Action Bonus – High-Quality MP3s Of The Entire Video Version Of The Training – Don’t have time to watch videos? I am also providing you with 10 MP3s that you can use while you’re on the go… Listen to them in the car, at home, or even at the office… All day… Every day. Are you ready To Make Things Happen A Lot Faster?